Happy Monday! Today we’re sharing Digital Designs Inspiration Inkling. 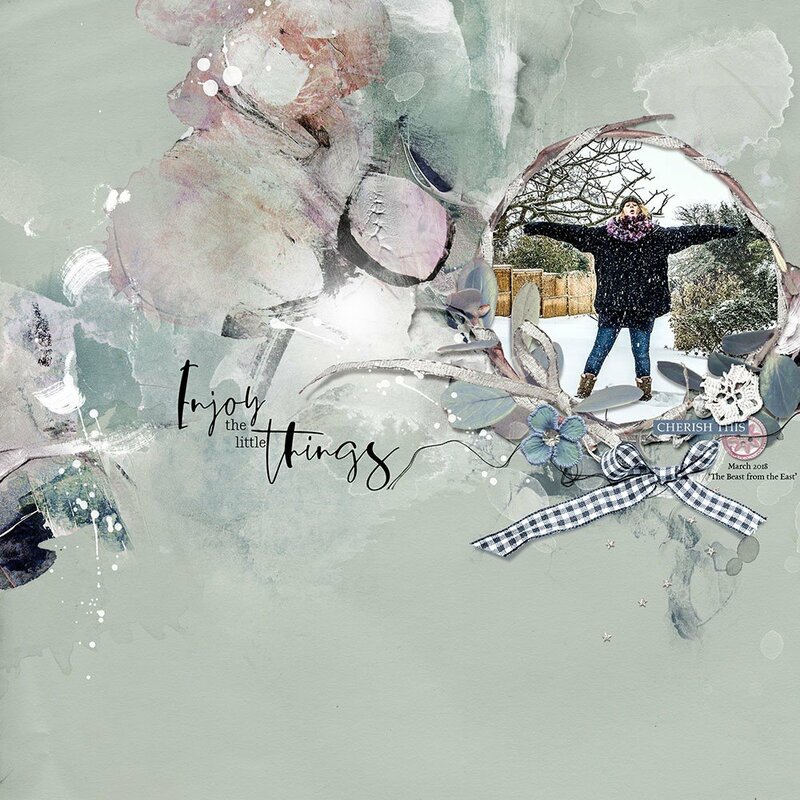 AnnaRelease Inkling, is the latest collection of digital designs for scrapbookers, photographers, artists and crafters to be released into the Anna Aspnes Designs store. The aA Creative Team adding a little ‘Ink’ to their artistry with ArtPlay Palette Inkling and supporting products. 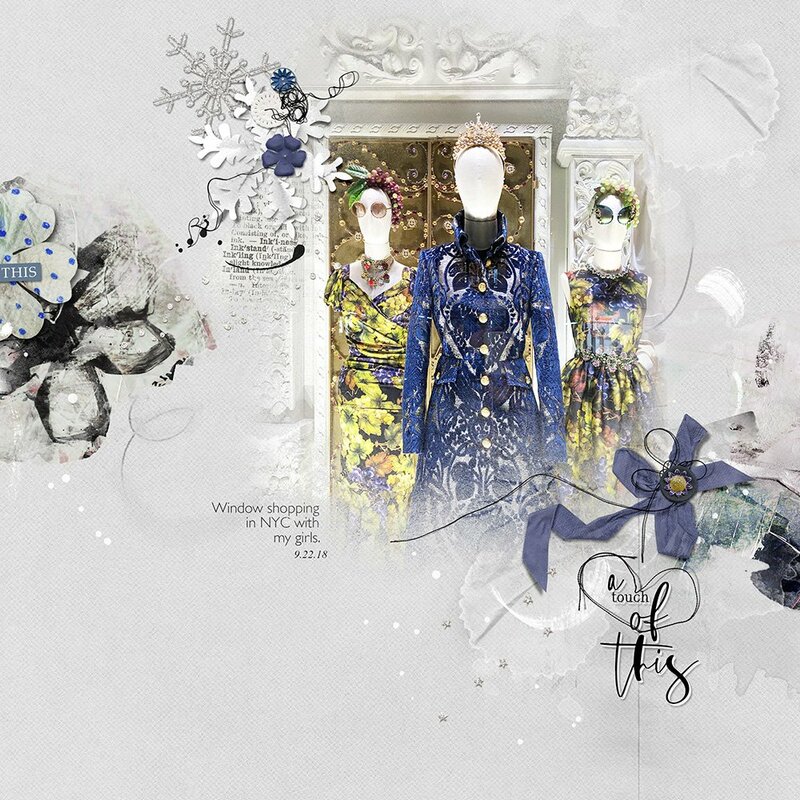 More digital designs inspiration Inkling of course, can be located in the AnnaGallery. Note that the AnnaRelease bundled option is only available until February 1st at 9am EDT..
Click on the image below to view more digital designs inspiration ‘Inkling’ or visit the AnnaTeam Layouts board on Pinterest. Combine your favorite art piece with your aA DigitalART supplies. Christy extracted this Degas ballerina using the Magic Wand Tool in Photoshop before layering transfers from ArtPlay Palette Inkling above and below the subject. I love how this adds dimension and therefore visual interest to the art. Use ArtStrokes or UrbanThreadz to encircle your titles. This draws the eye to specific words and create emphasis. I love how Miki has used the heart from UrbanThreadz No. 19 to make this happen in her artsy digital scrapbooking layout. Place a variety of ArtPlay Palette Elements together to create a cluster. This creates visual interest and supports your subject by adding visual weight. I love how Viv added a ‘head’ to her flower and layered the differing elements to embellish the frame. 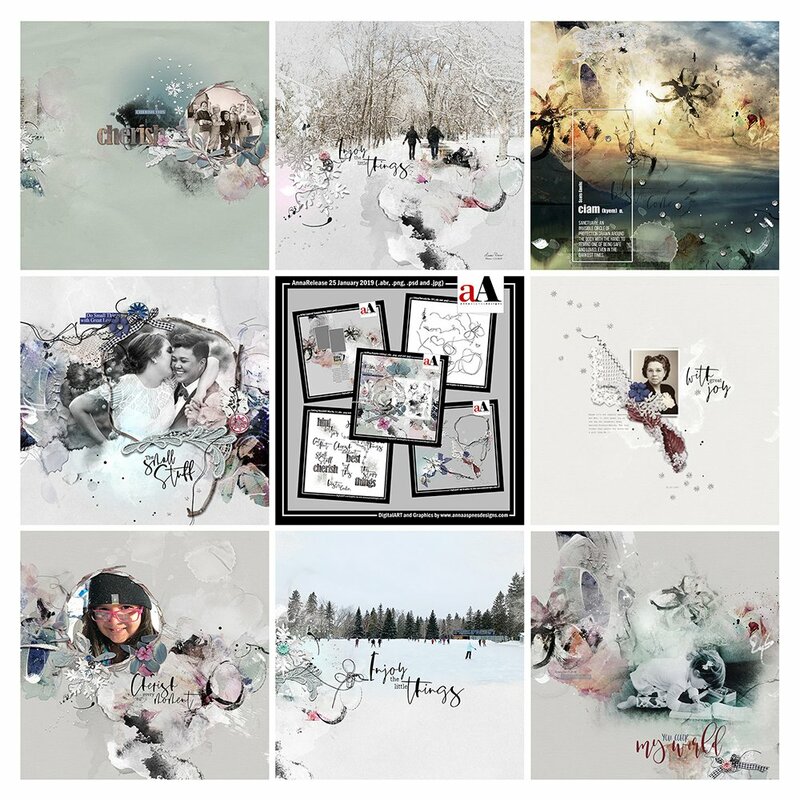 Find more Digital Designs Inspiration Inkling in the AnnaGallery.